Carl Marsh: The opening night of your new tour is here in Cardiff, will it all be new material or are you going to throw some of the old stuff in? 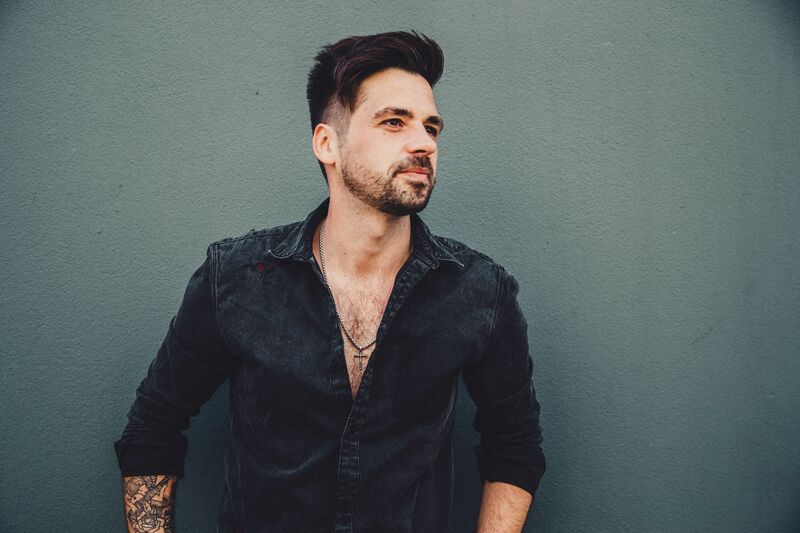 Ben Haenow: Yes, I think you’ve got to do some of the older stuff, but I’ve had another album out since. I’m on my second album now and I’m also doing my third, so it’s going to be a lot of the new material and a lot of that stuff. Because it’s an acoustic tour, we’re changing around the songs a little bit more and mixing them up and just stripping them back really. It’ll be a mix of old and new, stripped back and acoustic. Carl: I think your voice was wasted on The X-Factor, and also after when you were signed to Syco, and the stuff they were putting out, especially with all the computer generated background music in. I think your voice suits acoustic better and is that why you’re taking this venture? Ben: Thank you. Yes, definitely. Writing songs coming off the show, I think they’ve got an idea of what sort of artist they want you to be, and as much as you can try and have your input there, I think it’s mapped out for you really. I think the kind of stuff that they wanted me to sing was a bit more…, Ballads. And not that Gary Barlow’s terrible in any way. I think he’s a great songwriter. I believe that was the way they wanted to push me into and I just feel it wasn’t for me. Getting to write a second album, getting to do the stuff that I wanted to do and put a bit more of what happens in creative control. And that was getting a rockier and soulful sound is what I wanted to go for, so yes. Carl: Thinking back to when you were on The X-Factor, it must have been hard you’re going from being a van driver to stardom. For you then, once you’d won The X-Factor, what was the first few weeks after it like for you, and how did you cope? Ben: It was insane, really. From the night that you win the show, you go to an after-party thing and then you’re whisked away from that to a hotel for three weeks while you’re just stuck on a media circus. You go round and do every morning TV, every evening TV. Your feet don’t get to really touch the ground at that point. It probably took half of that next year for it to even sink in really what had happened because it’s just relentless after you win. Carl: The fans still love you. You have this huge following on social media, and I know on Twitter alone, you’ve got more than 300,000 followers I believe? Ben: Yes. That’s what’s been incredible for me. That’s also what kept me going. It’s quite easy for the media and stuff like that, in some respect to jump on the bandwagon about the next X-Factor flop, and those sorts of things. Rather than letting that get to me, I think it was where I realised that there was god knows how many people in the country at the time that voted for me to win. Those people, you go out and play the shows, they still turn up for the shows. This is the tour now, and last time we were in Cardiff, we sold out at The Globe as well. There’s support everywhere, it’s really as cheesy as it sounds man, it is the fans that keep the dream alive and keep me going.